Remembering Diane, one last time this year, thanks to this great photo sent by Jim Korkis. The cover for one of the most expected books of 2014 has been revealed. Can't wait. Merry Xmas to all of you. The blog will be updated again next week. Johnson, Mindy: Tinker Bell - An Evolution published by Disney Editions; 2013. Gennaway, Sam: The Disneyland Story: The Unofficial Guide to the Evolution of Walt Disney's Dream published by Unofficial Guides; 2013. 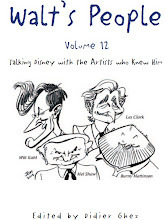 Gerstein, David (editor): Walt Disney's Mickey Mouse: Color Sundays Vol. 1 "Call Of The Wild published by Fantagraphics; 2013. Gerstein, David (editor): Walt Disney's Mickey Mouse Color Sundays: "Robin Hood Rides Again" published by Fantagraphics; 2013. 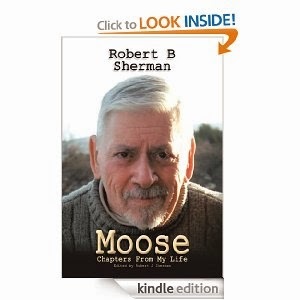 Sherman, Robert: Moose published by AuthorHouse; 2013. Lambert, Pierre: La Belle au Bois Dormant published by Editions de L'Ecole George Méliès; 2013. Korkis, Jim: The Book of Mouse: A Celebration of Walt Disney's Mickey Mouse published by Theme Park Press; 2013. 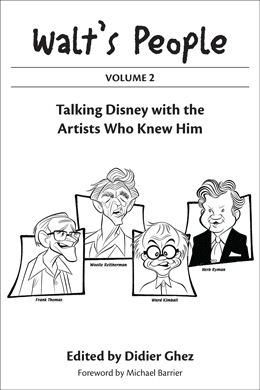 Korkis, Jim: The Vault of Walt: Volume 2 published by Theme Park Press; 2013. 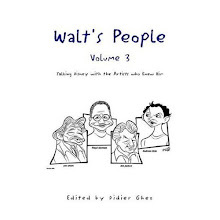 Ghez, Didier (editor): Walt's People - Volume 13 published by Theme Park Press; 2013. 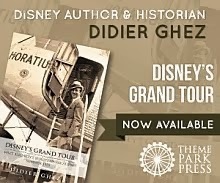 Ghez, Didier: Disney's Grand Tour published by Theme Park Press; 2013. Do not miss this great report about Walt's visit to the Cleveland Zoo in 1961, courtesy of Bruce Bohner and Tom Livingston. Dear all: Our good "friend" Douglas Stone (A Glass) has done it again: he just posted a 1-star review about Disney's Grand Tour on Amazon. As you know it is especially ironic since no one has even received the book yet. Could I ask all of you who ordered the book to most a review on Amazon ASAP after reading it? 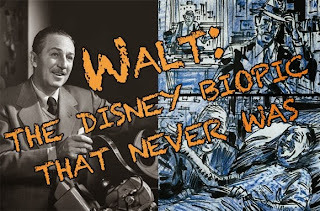 Do not miss those amazing photos of Walt which have just been released on CartoonBrew! It took me a month to accept the fact that Diane Disney Miller is gone. 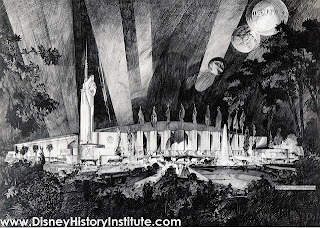 As explained yesterday in the introduction of Disney's Grand Tour, the whole project began thanks to a question I received two and half years ago from Diane. Michael Barrier had been kind enough to introduce me to her by email in 2007, which led to a face to face meeting in New York a few months later. I had presented to Diane a project linked to Disney history preservation and told her that I would be in New York for a short vacation which might give us an opportunity to meet via video-conference. In what I later came to realise was Diane's typical enthusiasm she stunned me a few days before the trip by telling me that she had decided to fly from San Francisco to discuss the project face to face with me in New York. I had the pleasure to meet her on two ulterior occasions, both times in California, once a year before the inauguration of the Museum and once the day of the inauguration. Each time she struck Rita (my wife) and I as a bundle of energy and enthusiasm sharing candidly with us her passion for the Museum, her enthusiasm for new Disney-related projects, her frustrations with whatever was in the way and her millions of ideas. To say that she was full of life is the understatement of the century. 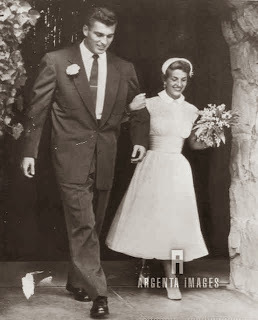 She loved her parents, she enjoyed those who really cared, and she was immensly generous with her time and her memories. It hurts to know that she won't see the book. It hurts to know that her enthusiasm is no longer there to move mountains. It hurts horrendously to think of the stupid accident. And yet her energy and passion were such that her light still shines bright in all of us, and that her youthfullness is still alive. She became for a few years the bearer of the flame when it came to preserving Disney History. The burden is back on our shoulders. It is only justice. [For more than twenty years, I kept hitting a brick wall. The official history of Disney in Europe seemed to start after World War II. We all knew about the various Disney magazines which existed in the Old World in the ’30s, and we knew about the highly-prized pre-World War II collectibles. That was about it. The rest of the story was not even sketchy: it remained a complete mystery. For a Disney historian born and raised in Paris this was highly unsatisfactory. I wanted to understand much more: How did it all start? 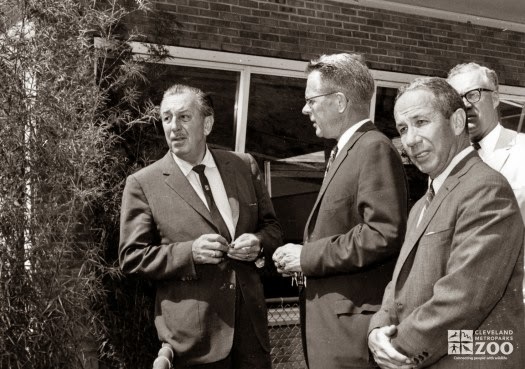 Who were the men and women who helped establish and grow Disney’s presence in Europe? How many were they? Were there any talented artists among them? How did the businessmen operate? Where exactly did Disney have offices? How were those offices structured? 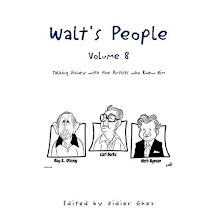 How did Walt and Roy interact with them? 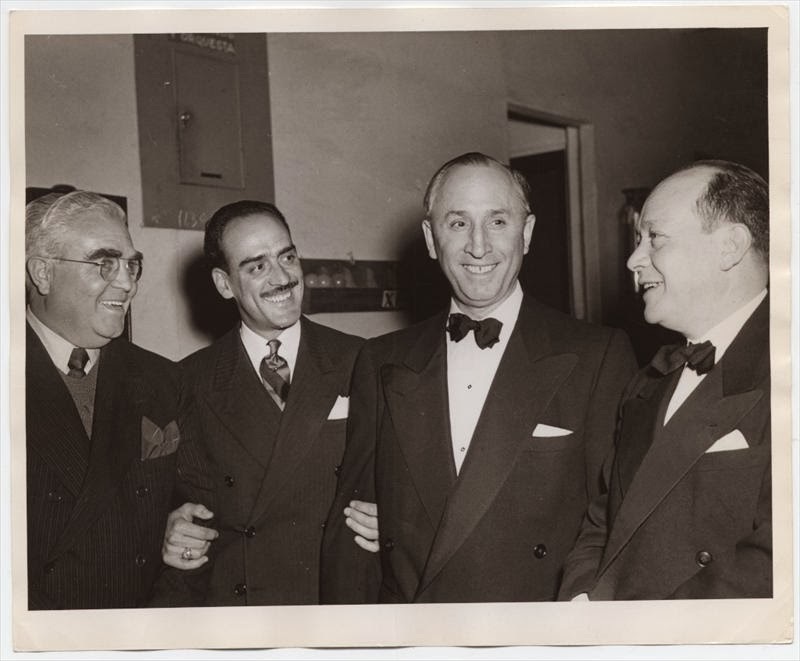 I managed to chip away at the brick wall, by learning about the existence of Disney’s first representative in Europe, William Banks Levy; by learning the name George Kamen; and by piecing together the story of some of the early Disney licensees. This was still highly unsatisfactory. We had never seen a photo of Bill Levy, there was little that we knew about George Kamen’s career, and the overall picture simply was not there. Then, in July 2011, Diane Disney Miller, Walt Disney’s daughter, asked me a seemingly simple question: “Do you know if any photos were taken during the ‘League of Nations’ event that my father attended during his trip to Paris in 1935?” And the solution to the great Disney European mystery started to unravel. This “simple” question from Diane proved to be anything but. 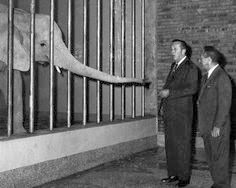 It also allowed me to focus on an event, Walt’s visit to Europe in 1935, which gave me the key to the mysteries I had been investigating for twenty-three years. Remarkably, in just two years most of the answers were found. As we will see, Walt’s trip to Europe with his family proved to be one of the most influential journeys he ever undertook. It took place in the midst of the Golden Age of Disney animation, at the height of Walt’s international fame and professional success, and had a tremendous impact on his sources of inspiration and on his understanding of the world. The itinerary of the journey (United Kingdom, France, Germany, Austria, Switzerland, and Italy) was reminiscent of the one young aristocrats from the seventeenth to the nineteenth century would follow during their Grand Tour, the traditional initiatory trip of their youth. 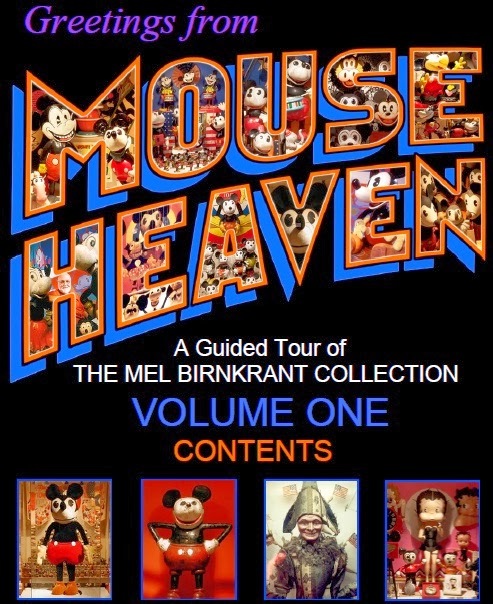 No history of Disney would be complete without a thorough understanding of what happened during Disney’s Grand Tour and what it meant to Walt and to those who surrounded him. It was therefore with pure delight that I read Roy and Edna Disney’s diary of the trip and that I explored Walt and Roy’s correspondence from the months of June and July 1935. But what made the journey even more special from my standpoint is that the mystery I had struggled with for so many years started to unravel: I finally understood the history of Disney in Europe before the Second World War. 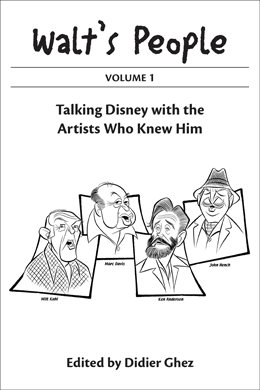 I discovered who was who; I understood how the Disneys had set-up their operations in Europe and how those structures had evolved during the ’30s; I understood how their European creative and business ventures operated and how they interacted with them. In other words, following a thin thread, I was able to peek behind the brick wall. Why did it take so long? In short, because solving the mystery meant reaching a very high level of maturity in terms of Disney knowledge and personal knowledge, as well as being helped by tools which did not exist even a few years ago. From a personal standpoint, I had to be able to read documents in French, English, Italian, Spanish, and Portuguese, and to get help when it came to translating those in German, Swedish, and Danish. The mastery of those languages took years to achieve. From a Disney-knowledge standpoint, I had to thoroughly understand the business history as well as the creative history of the company, I had to know who was who within the Disney corporate structure in the ’30s, and I also had to locate many documents that were extremely well hidden, like the never-released autobiographies of O.B. Johnston, Jimmy Johnson, and Mel Shaw, or the Robert Hartman Papers. Each of them contained key pieces of the jigsaw puzzle, which shed new light on the entries in Roy and Edna’s diary and on Walt and Roy’s correspondence, all of which led to a cascade of new discoveries. Finally, I was lucky to have access to tools that historians of the past did not have at their disposal. 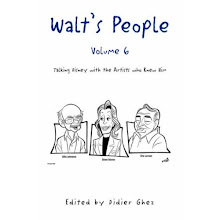 Although researching the origins of Walt Disney – Mickey Mouse S.A. at the Registre du Commerce is still done the old-fashioned way and involves physically getting there and being locked up in the room for several hours without any digital tool, there were many instances in which access to online archives proved to be a game-changer: from the Open Library, to Gallica.bnf.fr, to the online archives of the Daily Mirror and The New York Times. In one instance, the old and the new merged in astonishing ways: when I tried to locate the address of the 1930s Italian Ministry of Press and Propaganda (to find out if Walt had actually met Benito Mussolini), I had to rely on some 1934 footage which had been posted online, in an excerpt from a 1936 book quoted in an online forum, and on Google’s StreetView! None of these tools—old and new—alone would have done the trick. Disney's Grand Tour is now available for pre-order on Amazon and should start shipping later this week. The Kindle version should also be released in a few days. In the meantime I wanted to share some information about the book. To say that I am passionate about this book is an understatement. 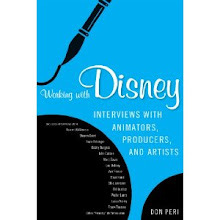 It is THE Disney history book I had wanted to write all my life. [I am proud to say that I was present for the genesis of this magnificent book. 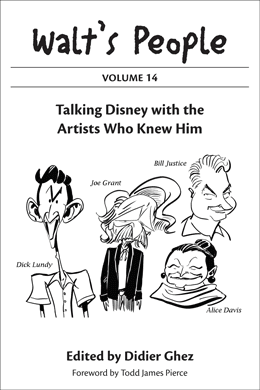 Some years back I asked Didier to write a guest essay for the Disney History Institute. 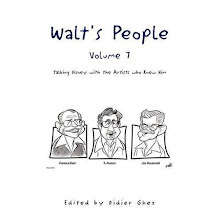 Didier and I had talked about possible subjects, and he decided that Walt’s 1935 trip (the Grand Tour) would be perfect; moreover, it was something we had discussed before and he was extremely passionate about it. If you know Didier (and I am proud to say he has been a dear friend for over twenty years) you know that when he encounters a story about which he is eager, enthusiastic, and emotional he will leave no stone unturned to find absolutely every historical fact available on this planet! With this desire to “find it all” burning in him, this essay, as I suspected, turned into a book—his magnum opus, a true genius work of Disney history. 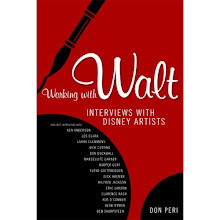 Never before in our field of studying Walt, has something been so brilliantly researched, expertly stitched together, and lovingly written! 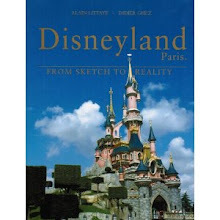 This work is an amazing testament to who Didier Ghez is and to the dedication he has to Walt Disney’s legacy. 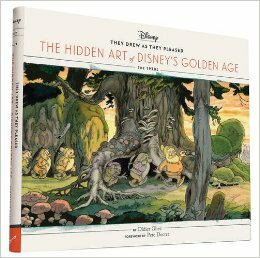 It is for this reason that I believe that this is the first of many amazing works from Didier, that prove what I have always known—he is the historian that will set the standard for Disney history and research for the next twenty-five years. If you want to see what that future will be like, then you start with this book. You won’t be sorry! 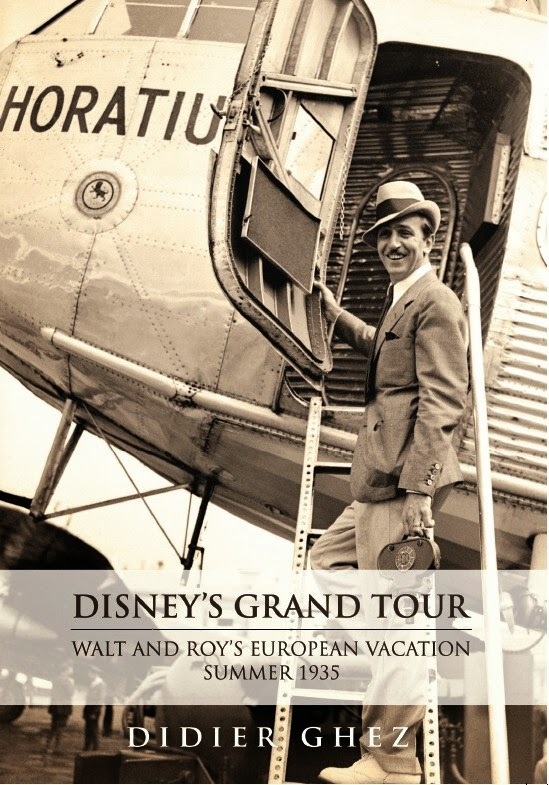 Didier Ghez's amazing new book on the grand European tour of Walt and Roy Disney and their wives in the summer of 1935 is so meticulously researched and written in such vivid detail that the reader will swear they were actually there, too! 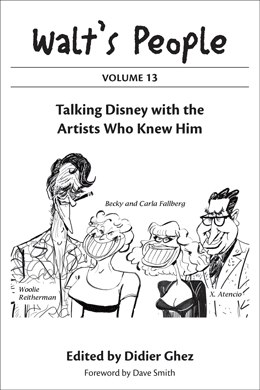 The way the Disneys traveled, the celebrities they met, their intimate reactions to places, people and events is recreated in prose that is as illuminating as it is entertaining. 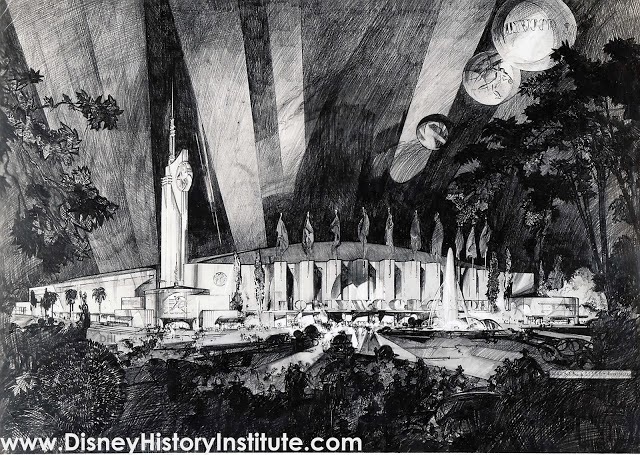 The impact of the trip affected in a positive way future Disney movies, artists hired at his studio and designs for the theme parks. 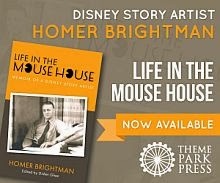 This is a major scholarly addition to our knowledge of Walt Disney during one of the most crucial periods of his career. It’s no secret that Walt and Roy Disney and their wives visited Europe in 1935, but most of us haven’t known much about the trip. Now, thanks to Didier Ghez, we have a definitive account, and it’s a fascinating story. 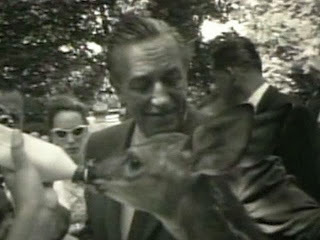 This was more than a vacation; here the Disneys engaged with European cultures in ways that would have a lasting impact. Didier’s passion for Disney history is well known, and here he combines it with his own European background, and a wealth of meticulous research, to bring this story to vivid life. We all owe him a debt of gratitude for this book. Disney historian Didier Ghez is a persistent, patient and passionate researcher who has uncovered the real story of Walt's 1935 European trip. 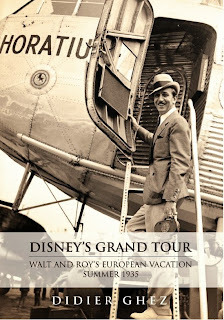 Using first-hand accounts, this outstanding book allows Disney fans to accompany Walt and Roy on an always fascinating moment-by-moment visit to England, France, Germany and Italy. Even after decades of research, I learned something new on every page of this incredible story. Come back tomorrow to read the Introduction, which explains why the book is so special in my mind and shares some of what it took to research it and to write it. Sold recently on Howard Lowery: Roy in Mexico, January 1951. Robert Sherman's autobiography is now available in physical format. I just ordered my own copy today. 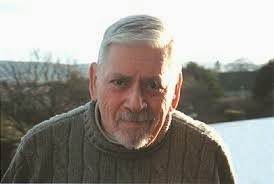 David Johnson has just posted online the 2nd chapter of his outstanding book about Snow White. Enjoy! 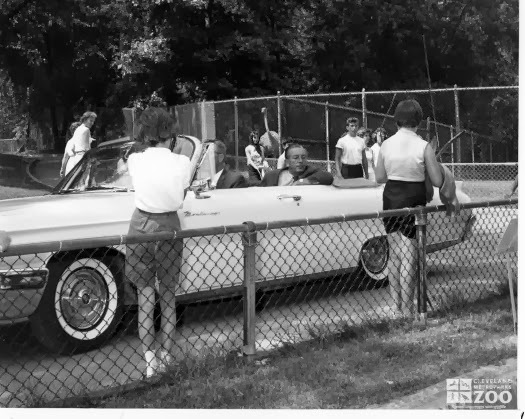 The Disney History blog has been updated yesterday. 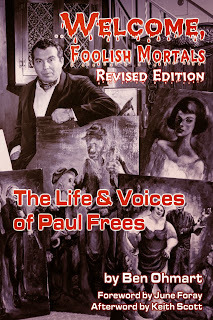 Didier Ghez: Why did you decide to release an updated edition of your biography of Paul Frees? 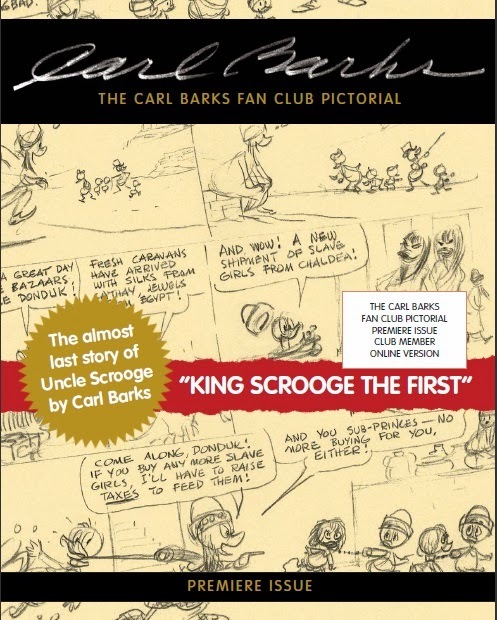 Ben Ohmart: Perhaps from the time I finished the 1st edition, I knew there would be a 2nd edition. More and more info kept coming in and I had to put a stop to it sometime, or else the book would never get out! And then when the family of Paul's first wife found me and said they had letters to and from he and his first time from WWII, that's when I really started working on the 2nd edition. DG: How much of the new information is related to Paul's Disney career? BO: I'm afraid Disney fans who already have the 1st edition aren't going to be impressed with extra Disney info. There is none. But. If you're a True Disney fan, like me, you're going to want to know more about Paul Frees, the Person. And this book has more personal info about Paul the man and husband than the 1st edition, by a long shot. 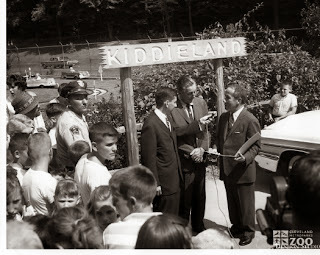 DG: You are rumored to be working on a biography of composer Buddy Baker. How is that project progressing? BO: My part has been done for probably 2 years now. I'm afraid I've been waiting on Disney composer Tish Eastman to finish her part - on the Haunted Mansion and Disney music. I did everything else. But I can't get responses from her, and I know my contract with her has run out. So maybe I should try to find someone else now. Someone with a great knowledge of Disney music, to work with. DG: Any other projects linked to Disney that you are working on at the moment? BO: Not personally. But we have new books coming out monthly, so I'm sure there will be Something. I hope to have something related to The Black Hole next year. I love that movie. 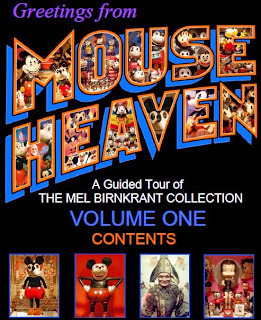 World-famous Disneyana collector Mel Birnkrant has just released a spectacular series of 4 ebooks documenting his whole collection. These ebooks are truly a treasure trove for colletors like myself. Don't waste time: download them ASAP. 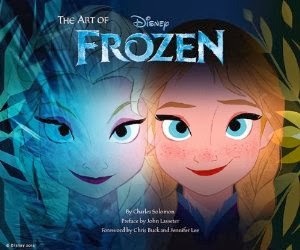 If you already own all the other "Art of" books released in recent years by Chronicle Books, as I do, you already know exactly what to expect with The Art of Frozen. It's beautiful, very professionally produced and features marvelous concept art. My only regret, as always, is that the text is so short. Since I always enjoy reading Charles Solomon's prose I am especially sad that he was not given a little bit more space to explore the creative process behind this movie. That being said, I loved the book and was especially seduced by the art by Jean Gillmore, Claire Keane and Mike Giaimo. Is there a better way of celebrating Walt's birth than to check out never-seen-before photos of Walt recently posted online by Andreas Deja? Tomorrow, December 5th, will mark the 112th anniversary of the birth of Walt Disney. Two weeks from today, December 18th, the late Diane Disney Miller (and her many friends and admirers around the world) would have celebrated her 80th birthday. After the release of The Man Behind the Myth, Diane and the Foundation embarked upon a far more ambitious and more complex project: the creation of The Walt Disney Family Museum, located on the grounds of the Presidio in San Francisco, overlooking — as seen from the grand picture window in the back of the museum — the Golden Gate Bridge. The Walt Disney Family Museum, which opened on October 1, 2009, houses a fascinating and visually delightful array of art and artifacts, video, and other displays. 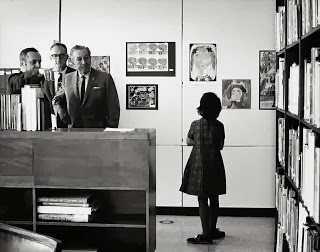 In addition, under Diane’s leadership, the Museum initiated a program of exhibitions, the high point of which so far has been Snow White and the Seven Dwarfs: The Creation of a Classic, curated by Lella Smith, Creative Director of the Walt Disney Animation Research Library in Glendale. The Snow White show ran from mid-November 2012 through mid-April 2013 and traveled in June to the Norman Rockwell Museum in Stockbridge, Mass. In tandem with the creation of the Museum, the Walt Disney Family Foundation launched The Walt Disney Family Foundation Press, which published two Snow White books in 2012. The first of these, an oversize 320-page volume, The Fairest One of All, is a definitive history of the film. A smaller, 256-page book, Snow White: The Art and Creation of Walt Disney's Classic Animated Film, was designed to serve as a “catalogue” or companion publication to the show curated by Lella Smith. 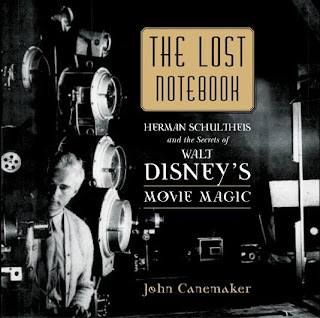 Each of these handsomely produced books was written by the distinguished film and Disney historian, J. 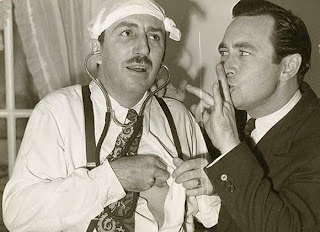 B. Kaufman, who is now working on a book for the Press on the making of Pinocchio, originally intended to serve as the companion volume to a second major exhibition, devoted to Walt’s second feature-length cartoon masterpiece, and planned for 2014 at the Disney Family Museum, but which for the time being has been taken off the schedule. There have been a number of eloquent and heart-felt tributes to Diane since her death on November 19th, most notably, I think, those written by Leonard Maltin, Andreas Deja, and Charles Solomon. 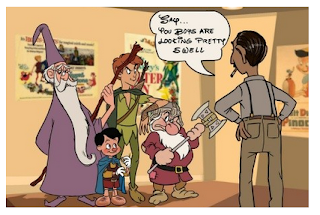 The first image, posted online on March 23, 2009 by “Juanma”, is a spoof on the idea of what a Disney treatment of Lord of the Rings would be like. 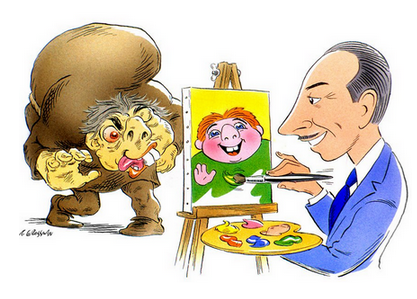 The second drawing is by the great caricaturist Robert Grossman, published around 1996 when the Disney version of The Hunchback of Notre Dame came out. Diane Miller loved Bob Grossman’s work. I don’t think she ever saw this particular image, but I am pretty sure she would get a chuckle out of it. “What Would Walt Do?” ... Now that Diane is gone, anyone concerned about cultivating Walt’s legacy is entitled to ask, ”What Would Diane Do?” The answer is clearly two-fold. 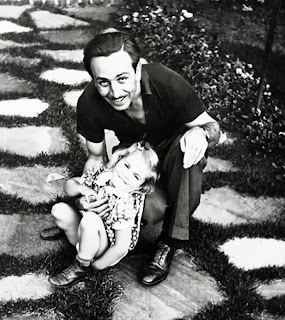 Remain curious about all things Disney, and keep fighting the good fight to get the word out about everything her dad did and the kind of man he really was. Walt Disney was not just a genius and a visionary. He was a good man, a good husband and father, and an inspiring leader whose accomplishments were the result of hard work and perseverance as well as innate artistic talent. Walt Disney was, as I like to say, the tent-pole of modern American popular culture. 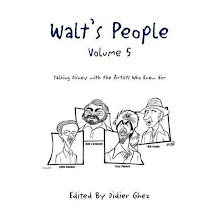 And because popular culture is American culture, Walt’s impact on our lives has been more profound, and will be longer lasting, than that of any other artist, writer, or film-maker in our history. 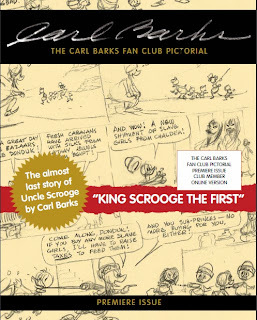 There is a new Carl Barks magazine in town and it is well worth picking up for the most serious fans among you. The long awaited autobiography of composer Robert Sherman, Moose, is finally available in Kindle format and will be released as a physical book in the next few weeks. (Thanks to Joseph Titizian for the heads up.) Can't wait (well actually that is not completely true since I will await the physical release).